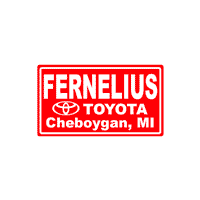 If you prefer to perform car repairs and maintenance on your Toyota and you live near Petoskey, Michigan, then turn to Fernelius Toyota for genuine Toyota factory replacement parts. We employ Toyota parts specialists at our parts department who are experts in all Toyota models and the components, accessories, and fluids that will keep your Toyota a Toyota. We stock our parts department with genuine Toyota components and accessories for a variety of Toyota models, from Corolla, Camry and Prius models to RAV4 and Highlander SUVs.There are multiple ways to get the authentic Toyota parts you need for your Toyota through our parts department. You can call our parts specialists or visit our customer parts counter at our full-service Toyota dealership in Cheboygan, MI. Or, you can use our convenient parts request form here on our website to order the parts needed for your Toyota. When you submit an online parts request via our website form, our knowledgeable Toyota parts professionals will review your request, confirm your parts and place your order. Whether you shop for OEM Toyota parts here on our website or contact our parts department at (231)333-3008, you are sure to find the quality components your Tacoma pickup or other Toyota model needs! To help provide highly competitive prices for local Toyota drivers near Gaylord, MI, we regularly post service and parts specials on our website. From oil filters and air filters to wiper blades, tires and brake components or service, we deliver driver-friendly prices on our many Toyota parts and auto services. You can even coordinate the installation of your new Toyota parts on your vehicle by utilizing our online service scheduler; then, visit our service department for professional installation! If you visit our parts department in Cheboygan, MI, you can not only speak with our Toyota parts specialists and compare parts in person, you can also enjoy our full-service Toyota dealership’s customer lounge, stocked with complimentary refreshments and free Wi-Fi access while you shop. Reach out to our Toyota parts experts today!